How to Work from Home: Network Marketing Training Tips: 10K Challenge Review - Are "Horse Blinders" Necessary to Success? 10K Challenge Review - Are "Horse Blinders" Necessary to Success? 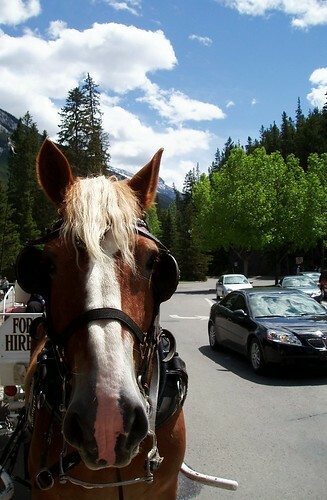 Horse Blinders are very useful - they keep a horse from becoming distracted by objects and actions which occur to each side of them as they pull their load. The horses don't go to either side, they just stay focused on the road ahead. This is how the 10K Challenge works: It has a specific set of simple work actions which you complete daily and as you continue on, this will build. You eventually get people signing up under you and they start the same actions and so get people under them and so on. There are advantages and disadvantages to this scene. The key point is that the training is short and duplicatable - but to me, this simplicity hides the downsides. At the 10K Challenge's program core are 3 programs to eventually join which in turn give you income when someone joins under you. So your investments multiply. Your your one payment for each service then comes back to you several times as people sign up below you. This works by using safelists - which are ways people can get their advertisements in front of other people, in exchange for viewing other's ads. You subscribe to their lists and get emails to view the ads. The trick on this is to use Gmail to organize the incoming emails. You set up new gmail accounts so these emails come to them, not your main email account. And setting up filters by where these are coming from, you can then separate out the emails and also view them in tabs. So you open all the ones from a particular company and then go back to the beginning and verify you've done all that's needed to qualify for the points you need. The key point is to not actually view the ads, but let them sit until the timer is done - verifying that you've gotten credit for watching that ad. In some cases, you need to enter a verification code. You simply filter them in gmail, and then open them all in tabs at once. Then work from one to the next, verifying you've gottent the credits. The ads you are sending out in exchange for "watching" - promote the 10K challenge. Sweet, huh? You've proofed yourself against having to read any ads while you send out ads telling people how to make money from the safelists they've already signed up for. Additional to this, you set up a Google+ page to get people who will in turn sign up for the 10K program. Now all these safelists also have affiliate programs. You enter your code on the appropriate page in the 10K program and then when the other people you sign up below you pay their fees (as you will need to do as well), then they repay you for your expenses in this program. And eventually, you start getting far more money in than you are investing yourself. The great part about this is that it's systemized, with pre-written ads, and actually fulfills promises that you can work part time to make a decent full time income. Now the realistic expectation is that this will takes months to get this all rolling and a stable income coming in. This is not get-rich-quick (as if anything ever were.) And you don't have to do face-to-face selling, so that's another plus. This program really fulfills a great many of the promises which people who want to work-from-home, but have no experience in a marketing, or running a business - this is probably a perfect match. Because just having and doing a job is what most of us are used to, and good at. So if you take a half-hour of concentrated work each day and just do these repetitive tasks as laid out, you can eventually (several months) build a nice downline which is sending you affiliate and MLM commissions every month. Stable and regular income. Slow and steady, delayed gratification wins the race. In fact, I'd give this to any student going through school, particularly in high school, as a way to make extra money. The more dedicated they stay at this - and do it on a "homework" basis - the more money they can make. After all, they have years of grind to get through - might as well make it pay. And the upper limits are really not set - it could grow remarkably large. All just on 30 minutes or so each day. There are 3 downsides to this, which are big enough that I won't be doing it, however. 1. It doesn't give enough value to leverage quick enough. 2. It doesn't build you a real business which you can leverage. 3. You never get the training necessary to break into the really big opportunities - meaning that you never learn marketing or leadership skills to really succeed. You see, I think people are here to get educated on leading a better life. And they're here to help others succeed. While the 10K Challenge program is a great little scene, it's short on education. You simply learn how to copy/paste ads and rinse/repeat. You don't really learn any more skills to get better at dealing with life. That said, it will give you an income to buy you the time where you can invest in other opportunities which do have the personal development training you'll require later. For my money, the best program I've run across is the Funded Proposal as Mike Dillard and Mark Hall promote. Reason being is that by building a list, you have an actual business. With lists, you can build client relationships where they will want to exchange their income for your information. The funded proposal covers your cost of advertising, similar to the safelists. Plus you ultimately get the the best of these people to inquire about your primary opportunity. Meanwhile, you have been introducing them to marketing and business skills they will need to take advantage of the fastest-growing opportunities out there. Everyone wins big time, even if the people on your list never get into Network Marketing personally. So, as a test of network marketing itself, the 10K Challenge is a good start. And it will give you some experience and extra income while you then acquire the training you need - so you can get into the real fast lane with your Funded Proposal.